We wish our granola will make you happy both physically and mentally by eating it every day. We regard granola a healthy and beauty food. 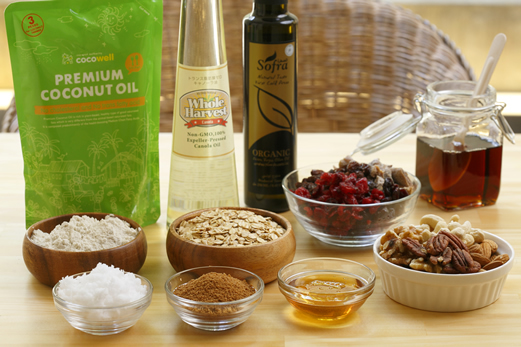 Each ingredient is carefully selected to become beautiful and healthy from inside the body. Almost all the ingredients are organic. Also, granola is an added value food with rich in fiber, vitamins, minerals, and it also has antioxidant action. 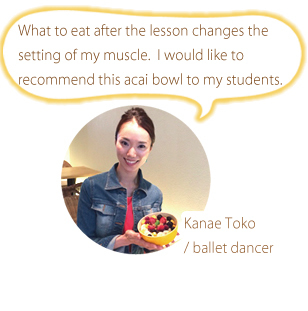 Why not stay healthy and beautiful by having granola in the beginning of the day or snacks? 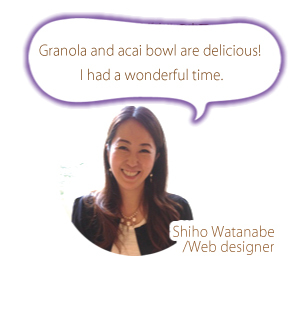 Our dream is to broaden japan-made granola to the world. Granola is originally made in the U.S.A. Our granola history in Japan is still short, so we want to set a Japanese standard to expand it globally with passion and energy. That’s something Kyoto can do where has always been created a long history. We always want to be a center of expansion of products made with passion. All the ingredients are carefully selected so that you can safely eat every day. We not only use ingredients certified by Organic JAS but also keep great relationships with producers passionately produce safe products. 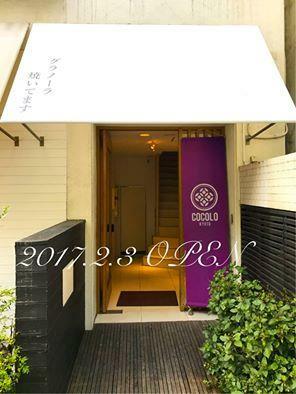 We want to circulate the foods made with dedication throughout the world from COCOLO KYOTO. Out selected oils are highly qualified that you can literally drink from the bottle. Our brain and cellular membranes are closely connected. Therefore, we believe choosing high quality oils is very important. And we use 3 different oils depending on each menu. ・Whole harvest oil：The best 100% organic canola oil with zero trans-fatty acid, zero cholesterol, no artificial addition. It is also oxidation-free by the old manufacturing method to pressure and rich in fresh vitamin E.
・Coconut oil：Easily burnt and high absorption. 4 times digestive absorption, 10 times avoidance of neutral fat than the normal oil. ・Olive oil：Used organic extra virgin oil from Tunisia. Best for anti-aging because it contains 10 to 30 times polyphenol than others. We use different sweeteners depending on the menu. Precious coconut honey carefully boiled down is a low GI sugar and certified by USDA Organic. It also makes the increase of blood sugar level moderate. Also, maple syrup, organic brown sugar from Kagoshima and Okinawa, and 100% clover pure honey… Enjoy all the elegant sweetness and flavor. ・oats：Organic JAS certified oatmeal is the main ingredient. It contains fiber 5 times of brown rice, 20 times of white rice. ・Nuts：You think nuts contain a lot of oil? Well, nuts oils are actually very good for you. Very rich in mineral and fiber, and it is good for anti-aging and diet. ・Dried fruits：Nutrition is concentrated during dehydration. Rich in minerals and fiber such as iron and calcium. 2F of the building in Sanmonji-cho. Inside the store is full of crispy scent of granola that is hand baked every day. 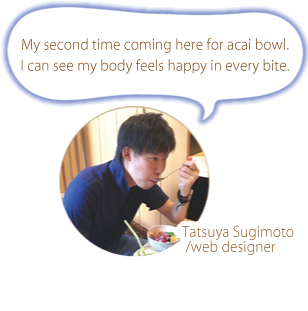 You can enjoy our menu such as acai bowl and green smoothie on the sunny terrace or inside tables.